With all the news about the old USDA Food Pyramid being replaced by the new MyPlate (which only cost the government $2 million to create!) I thought that an in-depth look at the old Pyramid is in order. I actually had a post planned about how the Food Pyramid desperately needed to be updated, but the USDA beat me to it. You are probably familiar with the old USDA Food Pyramid which recommends 6-11 servings of lectin, gluten and phytic acid packed heart healthy whole grains, followed by fruits and vegetables (always in that order), followed by low-fat dairy and lean meats. Fats, Oils, and Sweets were always to be eaten sparingly. Besides the fat that I seriously doubt that most people consult the food pyramid before making eating choices… in the 20 years that this one has been in existence, people have, on average been getting sicker and fatter… not healthier. Was the Pyramid the Problem? Of course, the USDA maintains that this is simply because the pyramid is complicated and hard for us non-government-official-committees to understand, which is why their new version is an insultingly basic model. The USDA hasn’t even considered that perhaps the reason people are getting fatter and sicker could be in part due to the upside down pyramid they promote and the “low-fat-heart-healthy-whole-grain” message that is promoted by the mainstream medical and nutrition communities. In fact, the general reaction to the failure of current medical and nutritional advice seems to be to suggest that we eat less fat and more fiber, as evidenced by the new recommendations. The USDA recommendations for an average person on a 2,000 calorie a day diet is to consume over 300 grams of carbohydrates a day. Consider for one minute the possibility that excess carbohydrates, not excess fat (which the USDA only recommends 65 grams of a day) cause problems like obesity, diabetes and heart disease, and even if Americans are only following half of the advice set forth by the USDA, and its easy to see why these diseases are rampant. 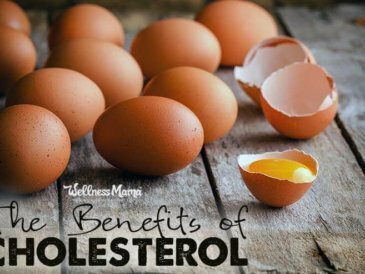 Despite mounting evidence that the Lipid Hypothesis is dead (the idea that saturated fat and cholesterol cause heart disease) and that high carbohydrate intake is the culprit behind the bevy of modern diseases, the USDA still recommends eating limited fat and simply increasing fruit, vegetable and whole grain consumption to get healthier. 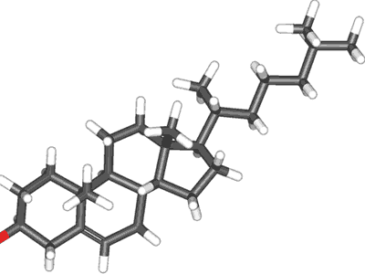 Even in the face of new data and evidence, the case against fat continues. In fact, recent research found that the ancient Egyptians, who ate healthier than we do by our own standards, had a higher rate of heart disease. Until now, researchers thought that our modern lifestyle with fatty and processed foods caused heart disease, though after this study was released, they admit that they might not understand heart disease as well as they once thought. The study, which evaluated the calcification in the arteries of Egyptian mummies found high rates of atherosclerosis. Nearly half of all the mummies evaluated had calcified arteries, and some of them were under 40 when they died. The Egyptians ate more fruit and vegetables and less meat than we do and their meat was leaner. They also led a more active lifestyle and were not thought to have smoked. Given that they developed atherosclerosis anyway, Thomas said, it becomes even more important to take measures to forestall development of the disease as long as possible, including stopping smoking, eating less red meat and losing weight. Cognitive dissonance at its finest! To recap- they ate “healthier” by eating more lean meat and more fruits and vegetables (as the USDA recommends) and ate little fat (which the USDA also recommends) and they got sick more often that we do. So the logical conclusion is… drum roll please…. that we need to eat even less fat and even more whole grains, lean meats and fruits and veggies. Logical? I didn’t think so either! Perhaps if we get rid of meats and saturated animal fats all together and just eat all fruits, vegetables, and healthy whole grains, then we could be healthy! But wait, that doesn’t work either! Maybe one day, conventional wisdom and the USDA will shift from demonizing fats and reconsider the idea that excess carbohydrates (sugars) and not fats cause heart disease. In the meantime, check out this article about the harmful effects of sugar and form your own educated opinion. And have no fear… the USDA is again here to the rescue with a new and improved version of the exact same advice! While the outdated “Pyramid” was apparently too confusing for normal people to understand, the new “MyPlate” was designed to be easy to understand, and it is… insultingly easy! It’s true that a visual representation of a plate may be easier to interpret for many people, but unfortunately, it is only going to help interpret the same bad advice. The new MyPlate guidelines, pioneered by Michelle Obama, still suggest at least half of dietary intake come from starches and sugars (grains and fruit), less than 1/4 come from protein, and another 1/4 come from vegetables, which could also be starchy. Maybe they missed all the recent information about major studies concluding that saturated fat doesn’t cause heart disease, or the meta-analysis showing no link between fat and heart disease, or all the information presented by Gary Taubes in his (500 page) brilliant case against the lipid hypothesis. Heck, a $2 million dollar effort can hardly be expected to examine all the information and present an unbiased conclusion, especially when the USDA is so busy subsidizing foods like corn, wheat, and soybeans to the tune of $20 Billion a year! Further restricting fat and calories is not only going to do nothing for the childhood obesity epidemic, it is harmful to developing brains of children. In fact, not getting enough fat, or getting the wrong kind of fat (like vegetable oils promoted by the USDA) has been shown to have a negative impact on IQ later in life. You’ve probably caught on by now that I’m pretty peeved at this latest attempt to intervene in our nation’s health, especially because the advice being promoted is going to damage health, not improve it (though I wouldn’t want government interference even if they were promoting the exact same thing I was). I’m annoyed because fat is not the problem, grains and excess sugars and starches are, yet the mainstream medical/nutritional communities continue to promote these ideas as healthy. If people want to make the choice to live on Pizza, hamburgers and soda, they should absolutely have that choice, in my opinion. It is the fact that many people are being misled into thinking that a “balanced” diet of grains, sugars, and vegetables with a little protein and very little fat is actually the standard they should look to for health. What the USDA lacks in ability to read actual studies, they apparently make up for in marketing. I’ve seen versions of this new and “improved” advice everywhere… even in our local hospital’s publication. The article on the right is from the magazine from our local hospital. 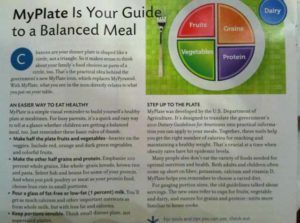 It is supposedly “Your guide to a balanced meal,” and helps us interpret the new MyPlate recommendations. I’ve included the text of the article below with my (highly cynical) commentary after. Chances are your dinner plate is shaped like a circle, not a triangle. So it makes sense to think of your family’s food choices as part of a circle too. Ok, we can chalk up one true thing from this article. My dinner plate is indeed shaped like a circle. I wonder how many government dollars it took to figure that out. As for the whole food choices being a circle, it reminds me of something I’ve heard before about food choices… oh yeah… “cause it’s the circle, the circle of life” (from the Lion King). Pyramids vs. Plates, Oh My! That’s the practical idea behind the government’s new MyPlate icon, which replaces MyPyramid. With MyPlate, what you see in the icon directly relates to what you put on your plate. Brilliant yet again! That old Food Pyramid (which gave King Tut Heart Disease) certainly was outdated and all of us dumb people lacking in government credentials couldn’t really figure out that you were just telling us to eat lots of carbs, some fruits and veggies and very little meat, fats, oils and sweets. Of course, since your health advice has been such a smashing success over the last few decades, I can see why you’d want to update it! 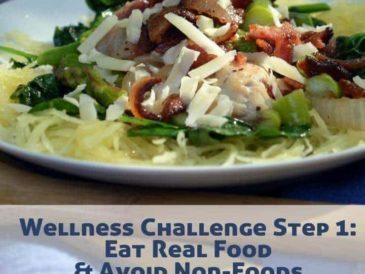 -Make Half the plate fruits and vegetables – heavier on the vegetables. Include red, orange and dark green veggies and colorful fruits. One thing we agree on! Vegetables (and some fruits) are good and you should eat them. Of course, you guys lump potatoes (a tuber and a starch), corn (a grain) and even french fries into this category, but at least we agree on green vegetables. Also, I’d suggest more like half the plate of green, leafy veggies and some fruits on top, but that’s a small point of difference (I say tomato, you say potato, but whatever). Thank goodness all of us busy parents have you to help us figure out what is healthy for our kids. Without you, we might never figure out that feeding them McDonalds every day or letting them drink soda is not a good idea. What a relief! -Make the other half grains and protein. 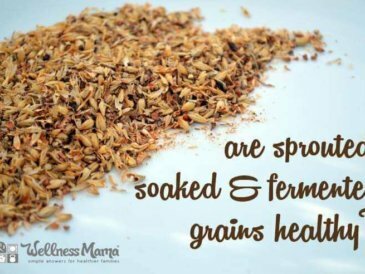 Emphasize 100 percent whole grains, like whole grain breads, brown rice and pasta. Select fish and beans for some of your proteins, and when you pick poultry or meat as your protein food, chose lean cuts in small portions. Great idea (sarcasm). We should certainly eat more grains than protein, since protein is only vital to hundreds of reactions in the body and is needed for cell growth and repair. Grains on the other hand… we need lots of those (sarcasm again!) to be healthy and get our fiber. We definitely shouldn’t worry about the fact that they are not nearly as nutritious as proteins, vegetables or healthy fats. 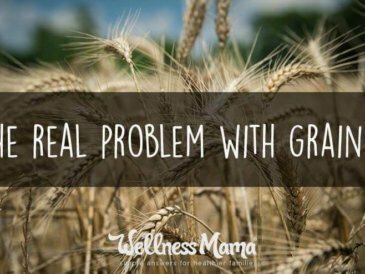 We should ignore the harmful gut-eroding glutens, lectins and phytates which are causing autoimmune disease at record rates. In fact, since a couple pieces of whole wheat toast skyrocket blood sugar just like candy, candy must be good for us too! As for the 100% whole grain thing! Thank goodness for those wonderful bread plants and pasta stalks. I’m so glad they don’t have to grind the grains up into small particles, which would increase the surface area and make them affect the blood sugar even more! We should definitely eat beans instead of meat too, because it has some protein (and lot of carbs). When we combine the carbs from the fruit over on the other half of the plate with the hearthealthywholegrains on this side and the carbs from beans, we might just be getting close to the 300+ grams of carbs we are supposed to be eating a day according to you guys, even if we are diabetic. 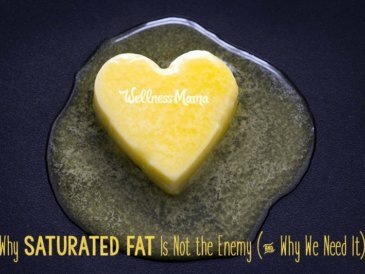 As for fats… those evil artery-clogging saturated villains… certainly they should be avoided. Never mind that they are needed for minor things like hormone production, satiety, healthy reproductive function and more and that they don’t actually make you fat (or cause heart disease)… avoid at all costs. Eat candy instead. Pour a glass of fat-free or low-fat milk. You’ll get as much calcium and other important nutrients as from whole milk but with less fat and calories. Oh yes, do that! Of course, the vitamins in milk like the synthetic Vitamin D in minuscule amounts do need fat to be absorbed, but who cares if you are absorbing them, as long as you are getting them! You can’t have your cake and eat it too (unless of course, you use wheat flour and count it as your heart-healthy-whole-grains). And calories, those are the bad guys! It doesn’t matter at all if they come from grains and carbohydrates (which raise the blood sugar, get stored as fat and wreak havoc on the body) or proteins (which are needed for important functions like cell repair) or fats (which are a much more dense and effective source of fuel). As long as we limit those calories, we are A-OK! In fact, someone once gave me a bottle of fat free, calorie free, salt free salad dressing. I might just drink the stuff! And dairy, we need lots of that! Of course, all other animals don’t drink milk after infancy, but dairy is such a healthy source of (relatively nothing since they pasteurize and process it all out) everything, we should drink it too… maybe instead of the salad dressing! Keep Portions Sensible! Think small dinner plate not super-sized platter. Well shoot… I was soooo looking forward to that gigantic salad I was going to have for dinner. but of course, that would be way more than half the plate of vegetables, so that isn’t good, and the other half would be lots of meat (and not the lean kind) with good ol’ fatty olive oil drizzled on top and nary a grain or dairy in sight. Yep, better not eat that! It won’t be nearly enough nutrients and way too much protein and fat. What should I eat instead? Maybe a couple slices of blood sugar boosting whole wheat toast with some hummus, an apple and a potato… yep that would fit, as long as I wash it down with the fat free dairy…. sounds so much more nutritious to me! And I should probably keep some of those super-healthy (sarcasm) 100-Calorie packs with me at all times so that I can eat small portions throughout the day because not eating every 2 hours would be like fasting, which would cannibalize my muscle tissue (or not!). STEP UP TO THE PLATE. MyPlate was developed by the U.S. Department of Agriculture. Wait, what? The U.S. Department of AGRICULTURE is telling us what we should eat? You mean those guys who approved Monsanto’s request to grow genetically modified crops and test them on their own? The same guys who bailed out Domino’s Pizza (lots of saturated fats there) to give the dairy industry a boost? That same organization who’s leader was once a top proponent for Monsanto’s push for genetically modified crops? 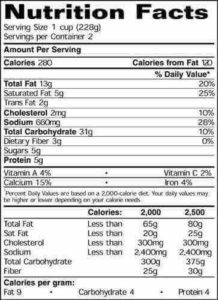 It’s designed to translate the government’s 2010 Dietary Health Guidelines for Americans into practical information that you can apply to your meals. Together, these tools help you get the right number of calories for reaching and maintaining a healthy weight. That’s crucial at a time when obesity rates have hit epidemic levels. How wonderful that we have those sweet, unbiased people at the USDA (who regulate all those heart healthy whole grains and low fat dairy) telling us to eat more heart healthy whole grains and low fat dairy. Surely, they are just concerned about the health of consumers and don’t care one bit about where their funding comes from. Measures like these will certainly reduce obesity, just as they’ve been doing for the last couple of decades under the government’s guidance (obesity rates have been rising). If only all of us dumb Americans had been smart enough to figure out that that pyramid thing was trying to get us to eat more whole grains these last few decades, we’d all be thin and healthy by now and heart disease and diabetes would be things of the past! (statistics show we actually eat less fat than we did a few decades ago). Many people also don’t eat the variety of foods needed for optimal nutrition and health. Both adults and children often come up short on fiber, potassium, calcium and vitamin D.
Yes, we need more varied whole grains! Of course, vegetables have more fiber and potassium… and foods like sardines and bone broth (lots of fat!) have more calcium… and we could get some Vitamin D from, you know, the sun… but we do certainly have to include those grains and dairy in our variety. The article concludes by giving you resources to read more from the USDA (sorry, not linking to it!) and the hospital’s own website. You could even hire a dietitian to help you eat all that stuff in case you still can’t figure out that you are supposed to eat a lot of heart-healthy whole grains. I wonder when the USDA and the medical community are going to figure out that these recommendations won’t really help anyone be healthy. Of course, where do people go when they get sick? The hospital! Some other bloggers have written excellent takes on this as well (like here and here). Tom Naughton also has a great take on the issue as well, if you are in need of a good laugh! 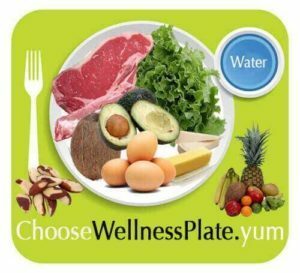 Bottom line… if you want to be healthier, fill YourPlate with foods like meats, eggs, vegetables, avocado, coconuts, some fruits, raw full-fat dairy etc and limit anything canned, bagged, processed or frozen (especially if it contains corn, wheat, or soybeans). What do you think? 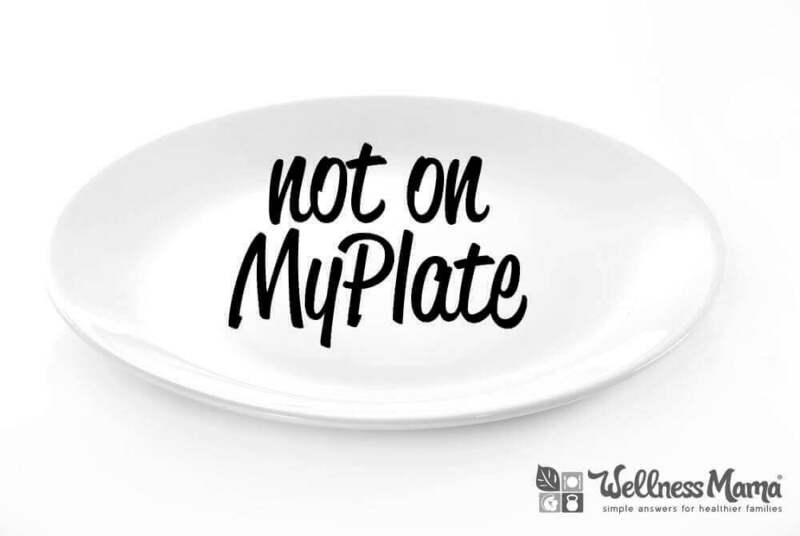 Is the new MyPlate a step in the right direction or merely a more insulting way of offering bad dietary advice? What would your plate look like? The Real Roots of Heart Disease?